SongwallLIVE! returned to the Musuem of the Jewellery Quarter on the 11th November 2017 bringing together another talented group of artists to celebrate the heritage and the future of music in Birmingham. 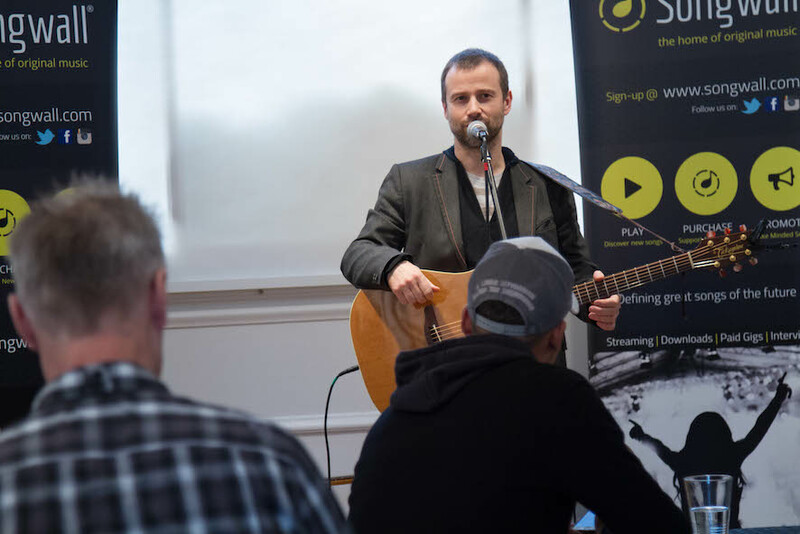 The event was kicked off by Songwall host and founder Brendan Poynton who was joined on stage by local artist Kate Willkins for a performance of Brendan’s song Real. Brendan talked about Songwall’s dedication to musicians through paid gigs and not taking a cut from their sales. This was a great intro to the event which was followed up with a warm welcome by the crowd to the first artist on the bill, Steve Soden. Bromsgrove based singer-songwriter, Steve Soden started his set with the track Evil Woman which he wrote whilst on a journey to visit his son. He explained how his inspirations come from everything around him. The song itself had quite a blues feel with an incredible guitar solo. It was followed by the faster paced ‘Crazy But It’s True’, including some great spontaneous audience participation which surely shows the sign of a great song. I mean, it felt like we were singing along to a well known song engrained in our psyche! We were given a taste of his latest album, ‘Welcome To The Asylum’ with the track ‘I Loved You So’ and a song to pull your heart strings (One of Songwallhttps://songwall.com/artist/steve-soden/’s favourites) titled ‘My Heart’s on Fire‘. Steve described the official video to ‘Welcome To The Asylum’ as “A B-Movie horror shock experience that was shot in Worcester!” and will be shown at this years Birmingham Film Festival in Digbeth at the Custard Factory (You can see the video at the end this review). Steve’s music is a fine example of classic songwriting crafting catchy hooks, marvellous melodies and thoughtful narratives. Next on stage was Monsta. We were gifted with the first ever live performance from this young developing artist who performed three of his raps acapella. His raps were focused around different perspectives of life. One that went down particularly well was focused on Black Lives Matter and his view on the movement. Monsta was well received with heart warming support as he tackled his first onstage experience in front this welcoming live crowd. 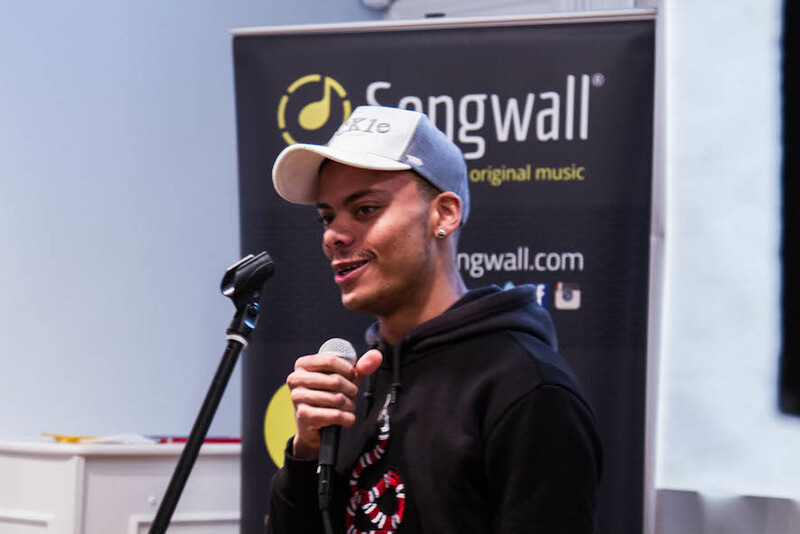 In the interval, Songwall founder, Brendan mentioned how it was a pleasure to give young artists the chance to break the ice barrier from practising at home to family and friends to the build up of a real live gig experience. We look forward to seeing more live performances from him in the future. The final performance of the afternoon came from Anne-Marie Allen who truly rocked the building with her distinct soul and blues sound mixed with a touch of funk, folk and deep groove bass lines! The song ‘Dream Chaser’ had a bass line that smashed the number ten on the groove scale. Anne-Marie’s impressive vocals pulled you in further as the bass lines reverberated through your body, grounding you to her occasional lucid lyrical landscape. The song ‘Fever’ picked up the beat throwing in a little funk. Local artist Kate Wilkins was invited back up on stage to join Anne-Marie to harmonise for the song titled ‘Dissatisfaction’. However, that was not the case! Kate Wilkins delivers a wonderful vocal that compliments without overpowering; almost like a natural extension to the sound and song she chooses to accompany. Ann-Marie Allen and her trusty band mates including Dom on guitar who masterfully makes it sound like there are two guitars being played and Lukasz on bass who is relentless and unforgiving in making you surrender to his infectious groove. Both Dom and Lukasz lock down the rhythm section in the most expert fashion allowing all three of them to deliver a masterclass in good vibes, punchy songs and a passion for making music that you just can’t help but surrender. One song ‘Vibe Attract a Tribe’ certainly highlights and examples in real time; it’s their core message in motion. You get the impression that’s exactly what they doing and before long, I have no doubt every festival will be begging for this artist/band to grace their stages in the coming years. Some truly powerful tunes in the making here. Look out for ‘Dream Chaser’….. The gig was wrapped up with a Q&A session with the audience where Steve, Monsta and Anne-Marie spoke about their experiences and different journeys as musicians in Birmingham. On the theme of Birmingham, Steve Soden said: “I go back way back when in Birmingham……I used to know people like The Beat and Duran Duran when they were starting out and there was a good vibe here….. 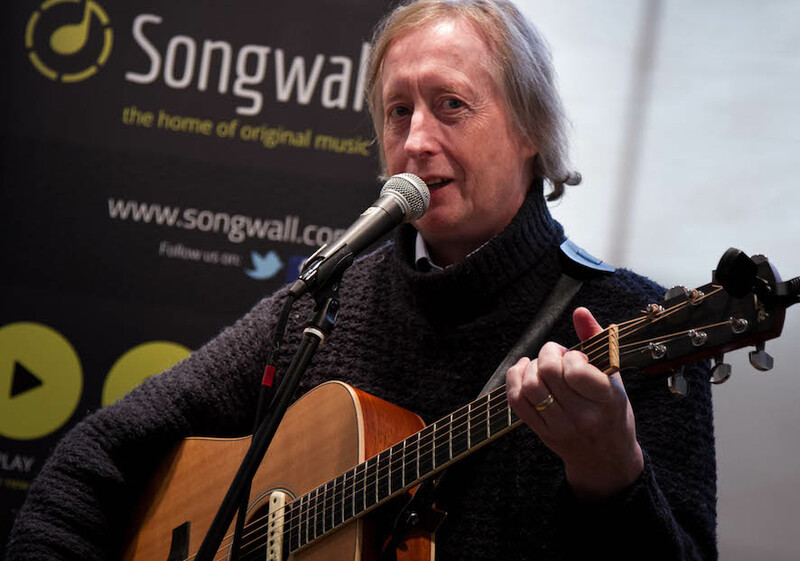 …..There are so many great things about Birmingham, like things like this (SongwallLIVE!) It’s very creative now. Part of the reason why I left, is because it wasn’t really very creative back then I don’t think, But since I’ve been back there is so much poetry, music and art and it’s fantastic….and …..what you’re doing here with Songwall is a great thing you know. There’s a great vibe in here, there’a a lovely energy in this building (Museum of the Jewellery Quarter). Ann-Marie talked about her influences being from all genres but actually the stuff she listens to is actually very different to the music she makes. She also referenced that by nature and by nurture she was a bit of a raver! There was even talk of Anne-Marie Allen and Monsta potentially working together on a track! How great is that!? 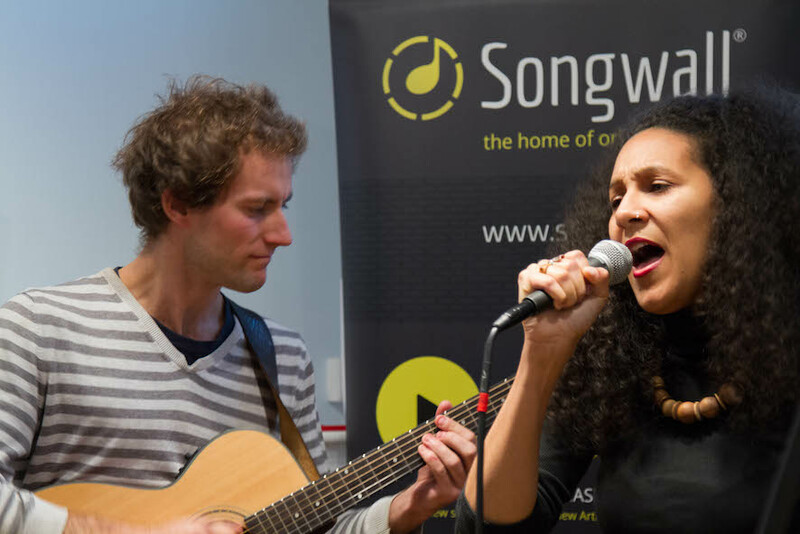 If Songwall helps just one new original music maker we’d be very happy… So watch this space!. Overall, a brilliant event, that truly showed how music can bring people together and effect them personally. 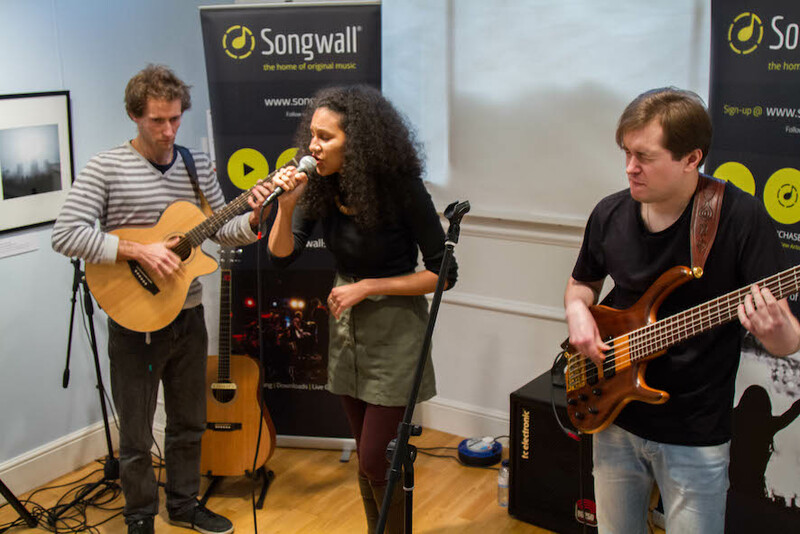 We’re looking forward to bringing more music fans and musicians together at the next SongwallLIVE! event on Saturday 16th December! Will you join us? The full SongwallLIVE! Q&A will be available at a later date. In the meantime, why not register as Songwall new music fan for our updates! Steve Soden and Anne-Marie Allen have songs available to download via their Songwall profiles. Remember: Songwall doesn’t take a cut from the download so the artist gets more cash in their pocket.